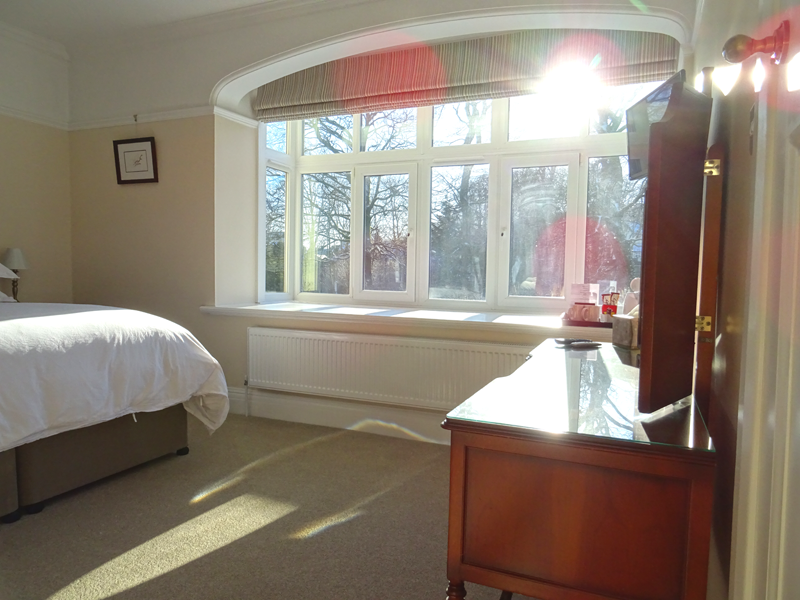 The Derwent is a spacious room at 27m2. 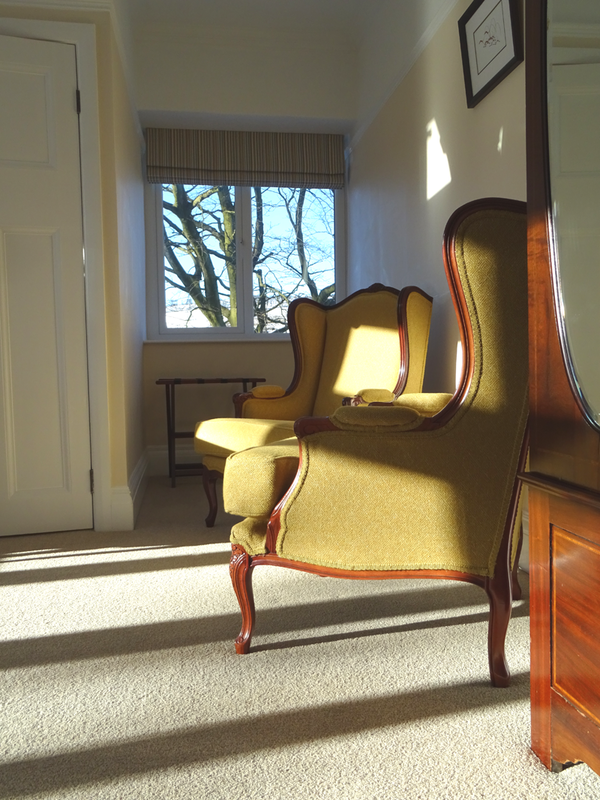 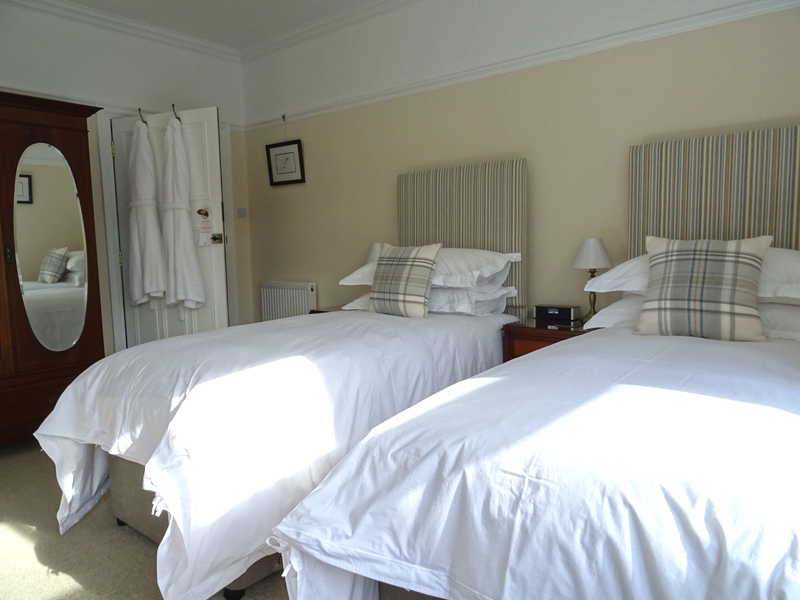 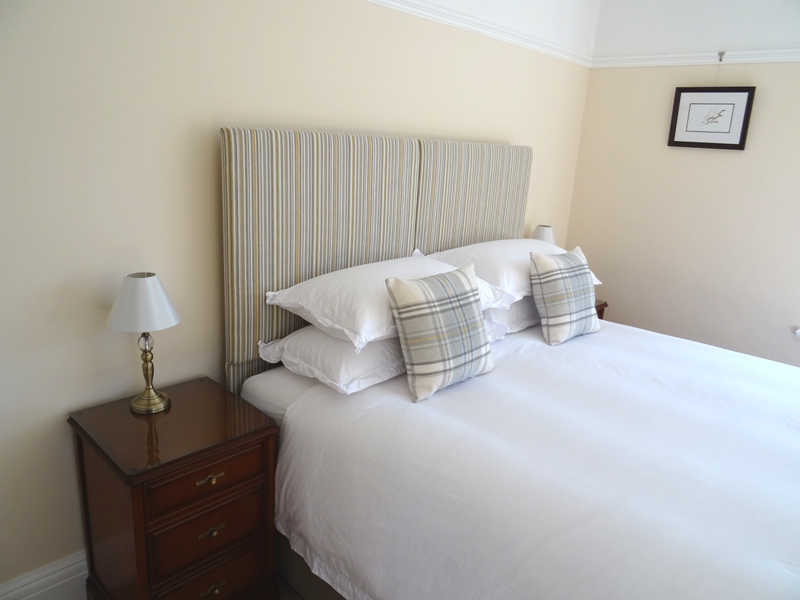 The room has two matching upholstered arm chairs, an Edwardian wardrobe and tri-fold mirror dressing table with stool. 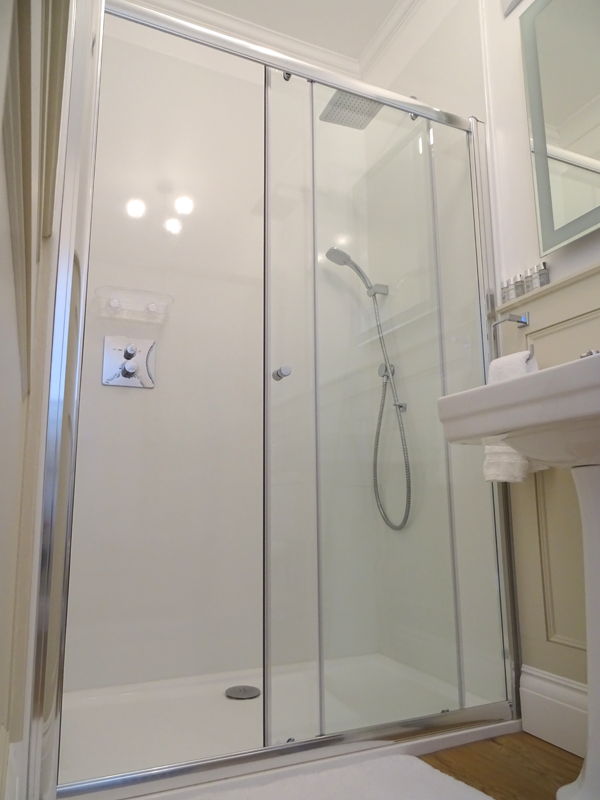 The luxury ensuite bathroom is traditionally panelled and has a modern walk-in shower with large rainfall shower head as well as a traditional hand held option. 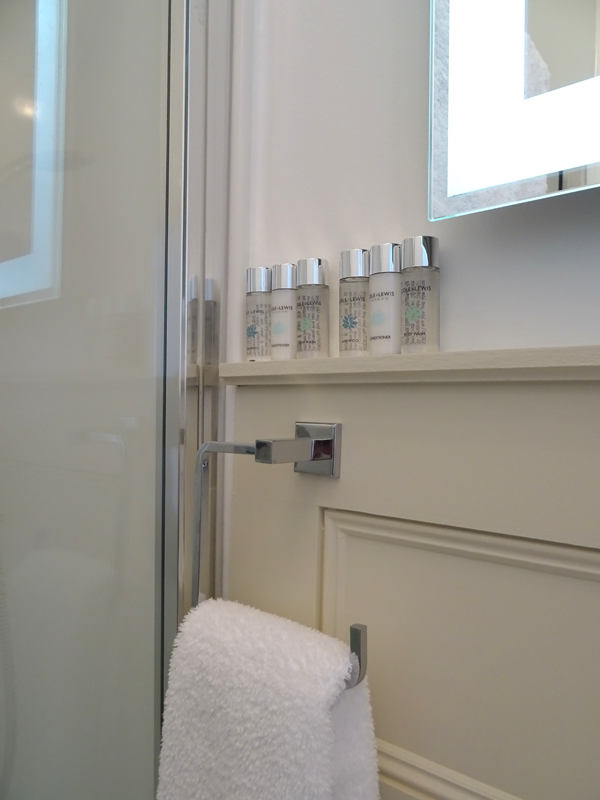 It also features centrally heated towel rails and a motion sensor LED backlit mirror with de-mister.